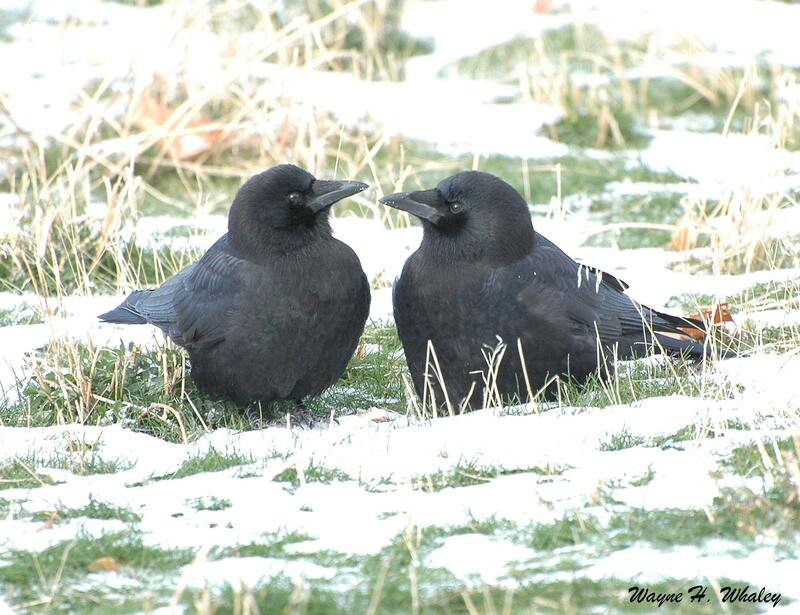 As you might have guessed, the American crow and the common raven are birds of a feather—two closely related species of the same genus Corvus. 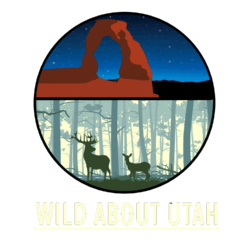 Both of them are residents of Utah. 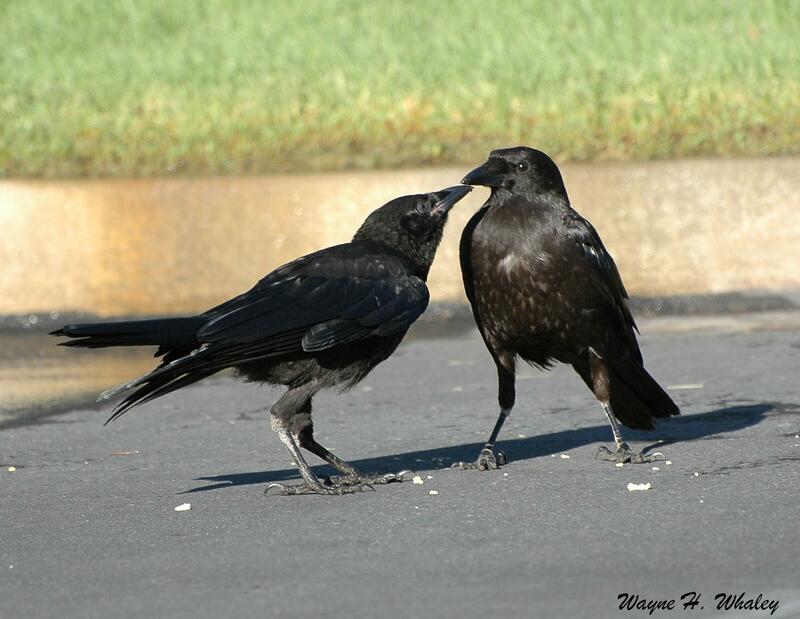 Together with family members magpies and jays, crows and ravens are among the brainiest animals on the planet. Perhaps the easiest way to tell these two apart is by size. If you are thinking to yourself “Wow! That’s a huge crow!” You are probably looking at a raven. Ravens can weigh over 2.5 pounds while crows typically weigh less than 1. The Raven’s wingspan can clear 4.5 feet while that of crows is less than 3. 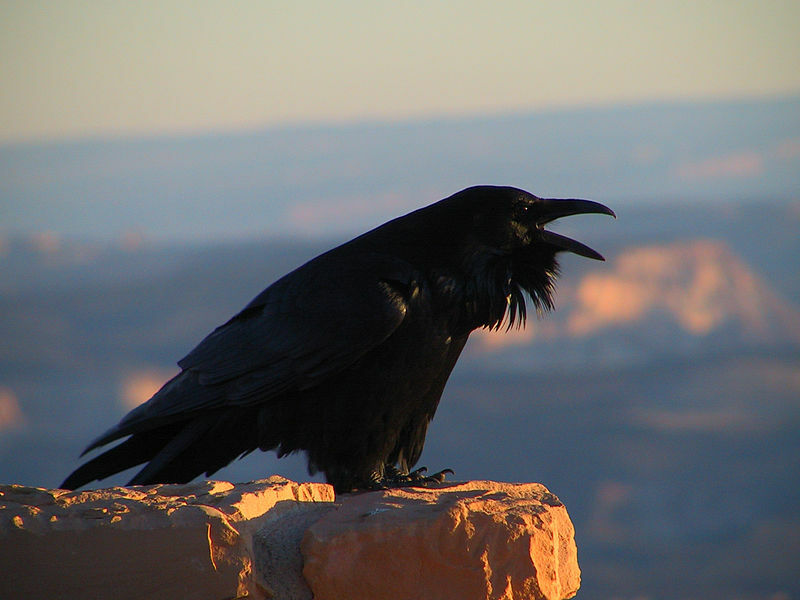 Proportional to their bodies, the bill on a Raven is larger and thicker. 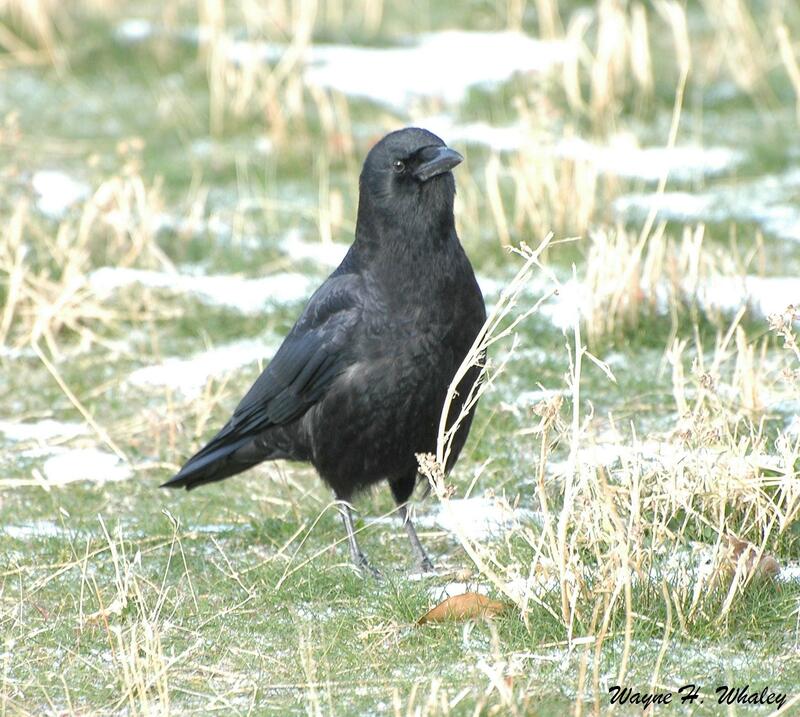 The crow has a thinner, more pointed bill. Take a look at the tail in flight: a crow tail is fan shaped with a straight tail edge. 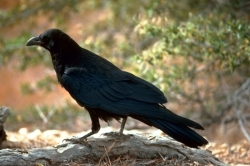 A raven tail has a rounded wedge shape. In the air, ravens usually soar, while crows will flap a lot more. It’s not always apparent why, but some ravens will perform acrobatic rolls during flight—usually half rolls, but sometimes full rolls and even double rolls! 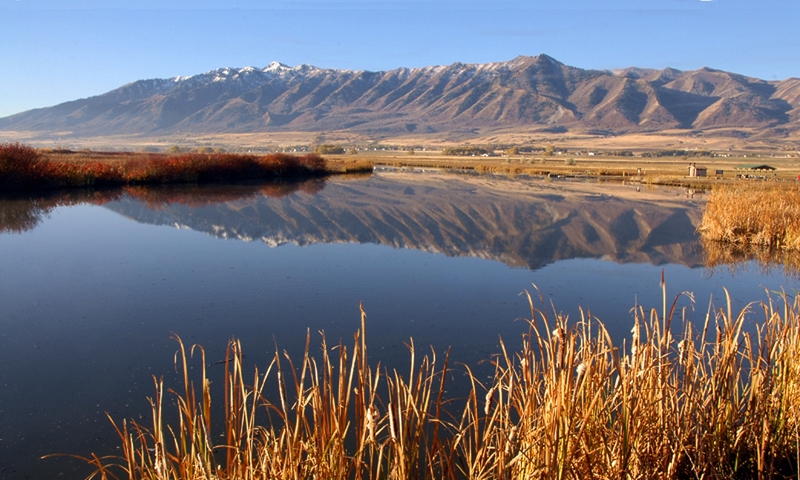 Common ravens are abundant throughout Utah, They can be found in almost all habitats and in all seasons. They are more wilderness-oriented than crows who prefer forest edges, savannas, agricultural fields and urbanized areas. In cities and towns humans provide lots of easy food in the form of garbage. 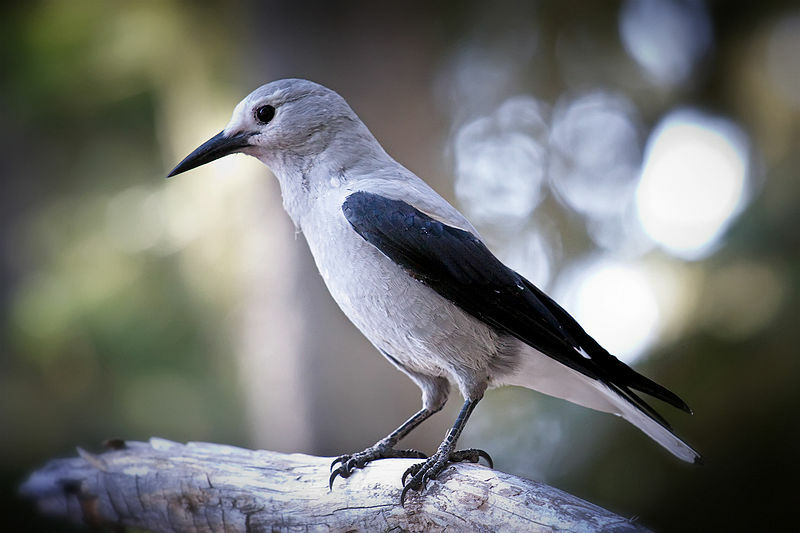 The crows’ intelligence allows them to take advantage of novel food items– like pizza and Cheetos–that don’t really resemble food in the wild. Kilham, Lawrence. 1989. The American crow and the common raven. W. L. Moody Jr. Natural History Series. College Station: Texas A&M University Press. Marzluff, John M. 2005. In the company of crows and ravens. Yale University Press. Savage, Candace Sherk , 1997. Bird brains: the intelligence of crows, ravens, magpies, and jays. Sierra Club Books.